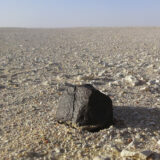 I found this meteorite in Oman during my first expedition there in march 2011. I gave it then the inventory reference MC50/MCZ1. JAH 846 was first considered as a type 3, L chondrite (as suggested by the composition of olivines and pyroxenes) and also as its chemistry had important inhomogeneities. It was then reported as a L3 chondrite to the NomCom (Nomenclature Committee) of the Meteoritical Society. 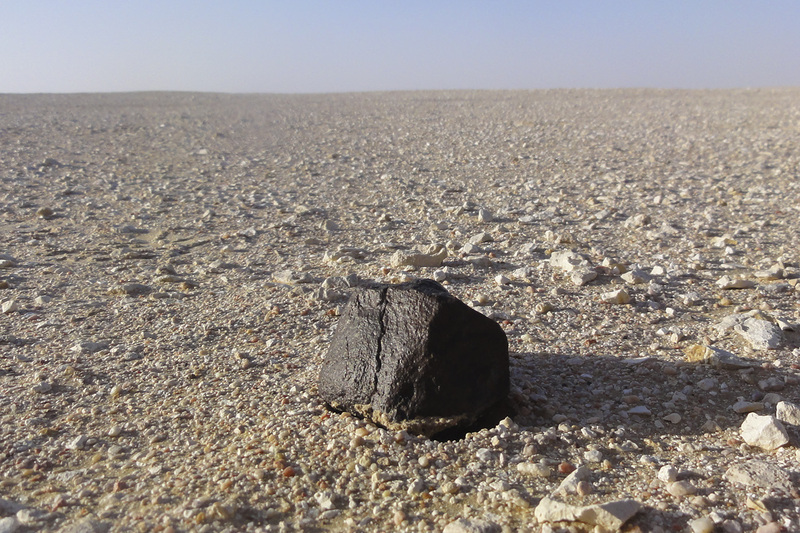 Then in a publication managed by Karen Ziegler (University of New-Mexico) and Anthony Irving (University of Washington, Washington State), the two scientists chose to use this meteorite sample. Their goal was to demonstrate that the oxygen isotope ratios could present large variations into the same unequilibrated and primitive meteorite (type L < 3.5). The results, while showing those important variations from different parts of the same sample, showed also that JAH 846 had measures different from other known H, L or LL chondrites. So it’s just by chance that this personal meteorite find was reclassified as an ungrouped type 3 chondrite… In other words, it comes from a totally different asteroid than the ones from which other chondrites come from ; JAH 846 may be the only specimen of this asteroid in our collections !